Roger Clemens reached 300 wins as a member of the New York Yankees in 2003. Not only did he reach a magic number in the win column, but also got his 4000th career strikeout during that game. As a footnote, it was also the only inter-league game as he beat the St. Louis Cardinals 5 – 2. Phil Neikro tossed a complete game shutout on the last day of the season for the New York Yankees, beating the Toronto Blue Jays 8 – 0. This is emblematic of the determination many of these pitchers had for reaching the milestone, as many had to hang on at the end of their careers for that last W. No one knew if Phil would be picked up by another team following the 1985 season. Two other pitchers identified with the Atlanta Braves, Tom Glavine and Greg Maddux reached the milestone for the Mets and Cubs respectively. Tom Seaver for the Chicago White Sox, Don Sutton for the California Angels and Randy Johnson for the San Fransisco Giants also fit into this category. There was only one pitcher in the 300 Win Club who stayed with the team throughout his entire career, and that was Walter Johnson. 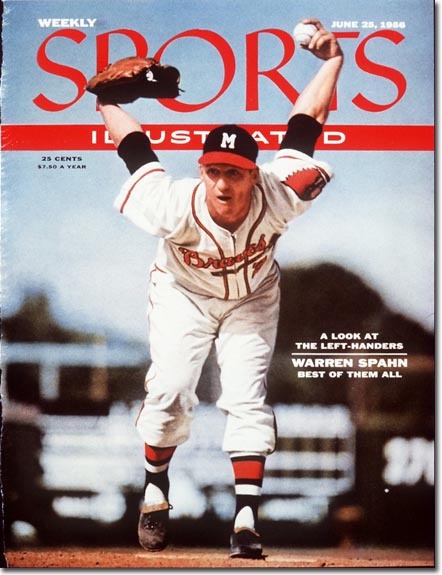 One pitcher who has a prominent spotlight shone on him in Dan’s book is Warren Spahn, the winningest lefthander in history with 363 wins. How many wins would that number be had he not served in the military, many have speculated, but Dan believes he would have challenged Walter Johnson for second all-time with over 400 wins. At the age of 39, Spahn pitched the first no-hitter of his career, only to follow up the feat by repeating it at the age of 40. 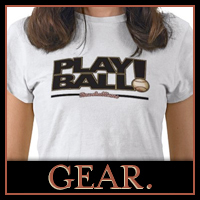 He even made a fine barehanded defensive play in the ninth inning to preserve the no-hitter. Someone who jumped out at Dan in compiling the book was Don Sutton, who only had a single 20 win season on his resume. Determination, perseverance, and good health combined to give Sutton the longevity needed to reach 324 Wins. His 300th win was a calculated rotation manipulation by manager Gene Mauch to give Sutton another start in front of the California crowds before embarking on a long road trip. It is telling how much this milestone meant to these pitchers, throughout history. Quotes such as Lefty Grove saying “when I got to 275, I said, by gosh I’m going to win 300 of bust!” Or Roger Clemens saying “I started thinking about 300 when I got past 250 wins. The media kept suggesting I might be the last one to reach 300, and it inspired me.” This was an achievement that meant something to these pitchers. Is there anyone out there who has a chance at being immortalized by reaching this plateau? The active leaders with over 200 wins include Jamie Moyer, Andy Pettitte, and Pedro Martinez and the status of “active” for all three of them is somewhat dubious. You have to turn to the pitchers who are still in their prime, to have any potential such as Roy Halladay at 169 wins, C.C. Sabathia at 157, even Tim Hudson at 165 wins would still have a hard time dealing with pitch counts, bullpen specialists and five man rotations to add a significant number of wins to their records. Dan’s original premise of the book is that we have seen the last of the 300 Game Winner in Major League Baseball. Under the current system of handling pitchers and using the entire pitching staff over the course of 162 games, that looks to be a very accurate assessment. The game does change, and we hope that some day we see a major talent emerge, but one should relish the era in which we recently saw Maddux, Glavine, Clemens, and Johnson cap their outstanding careers with over 300 wins. 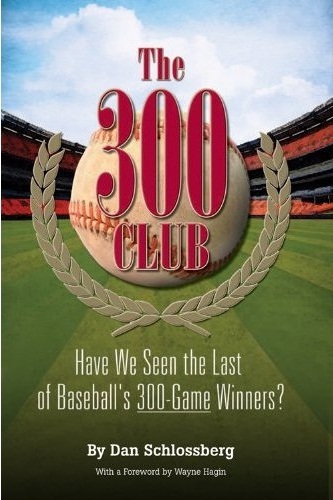 We heartily thank Dan for appearing on Cover the Bases to talk about his book The 300 Club: Have We Seen the Last of Baseball’s 300-Game Winners? , and look forward to seeing him again at future SABR events. You can also find him on Facebook! Please let us know in the comment section what you think about this analysis of the 300 Game Winners, as well as any other suggestions you might have for future editions of the podcast. Excellent podcast! Looking at the complete list of 24 300 win pitchers, and the years in which they reached their 300th wins, I see a curious gap. 7 pitchers reached 300 between 1888 and 1901, and another 4 between 1912 and 1924. 10 got there between 1982 and 2009. But between 1925 and 1981, a 57 year stretch, there were only three: : Lefty Grove in 1941 (on the dot), Warren Spahn in 1961, Early Wynn in 1963 (on the dot). This makes Spahn’s achievement stand out all the more: of the pitchers in his generation and the generation before and the generation after, only two others made it to 300 (barely), yet Spahn himself might have made it to 400 without the three seasons lost to the war. I guess my question for Mr. Schlossberg would be, can he elucidate why there weren’t more pitchers to reach 300 in mid-century? Hi, Patrick, and thanks for taking the time and trouble to post your comment. I attribute the drought of 300-game winners to the introduction of the lively ball in 1920, in the wake of the Black Sox Scandal. Babe Ruth revolutionized the game when he showed that fans flock to see home run hitters; teams quickly seized upon the moment to emphasize the long ball as much as they could. Many of the game’s top sluggers appeared (Gehrig, Foxx, etc.) just as the 300-game winner disappeared. In addition, there was a plethora of parks with ridiculously small dimensions (Baker Bowl, Fenway, Wrigley, Crosley, etc.). That makes Grove’s achievement remarkable, even though he hit 300 on the nose, and Spahn’s truly mind-blowing. Wynn had the support of strong clubs, which helped considerably. Thank you so much, Mr. Schlossberg! That makes perfect sense. And when the balance between hitters and pitchers shifted again, actually tilting toward the pitchers for a while, and when the stadiums began to change — both of those developments taking shape mainly in the Sixties — then, exactly one generation (or complete career length) later, we started to get 300 game winners again.